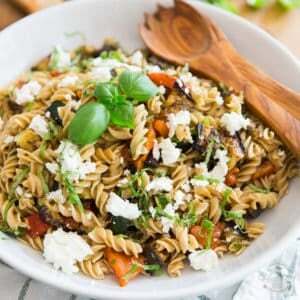 Looking for a quick and easy, yet crazy tasty recipe that you can whip up on any given week-night? 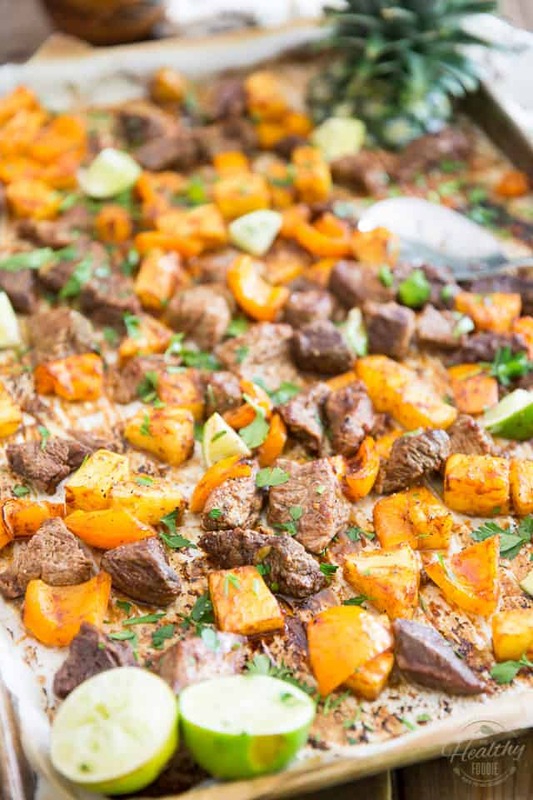 This Sheet Pan Pineapple Beef one is totally for you! 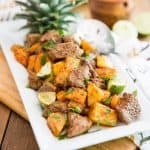 The inspiration for this Sheet Pan Pineapple Beef with a Mexican Twist, I got out of a magazine I was reading the other day while getting my hair permed. Yes, they still exist and yes, I’m one of the last few odd ones who like to get their hair permed. 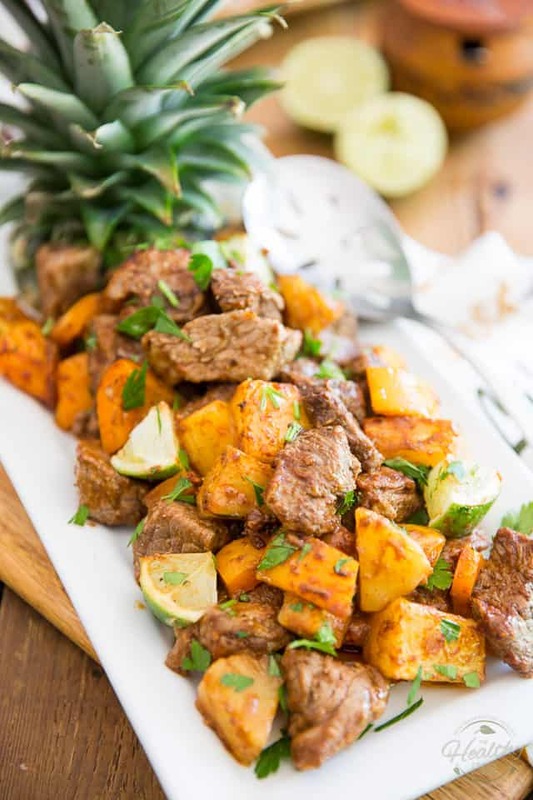 So I was reading that magazine and a recipe for a sheet pan beef and pineapple dish caught my eye. To be honest, however, even though I happen to be a huge fan of the sheet pan cooking method, I was highly skeptical that it would yield such good results with beef. Personally, I tend to eat my beef on the rare/raw side, so I really doubted that this combination of cooking method and cut of beef would be anything near satisfactory. 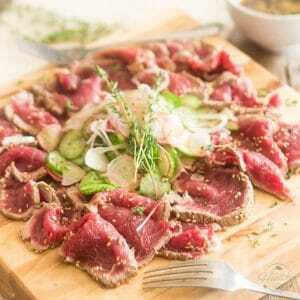 Indeed, it’s quite hard, if not impossible, to keep the beef rare when baking such small pieces of meat. So I half-expected the beef to come out super tough, chewy and rubbery. But, I was pleasantly surprised! The meat came out much better than I though it would. I guess the fact that it gets cooked for a fairly short amount of time in a super hot oven really helps in giving it a nice, golden brown and crispy exterior while keeping it decently moist, tender and juicy! 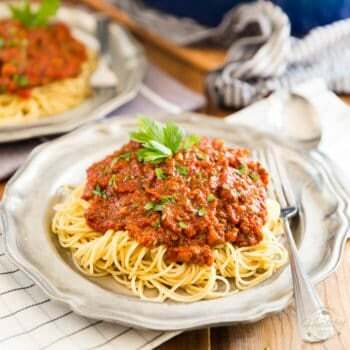 So really, if you’re looking for a quick and easy, yet crazy tasty beef recipe, one that you can whip up on any given week-night, then this one is totally for you! 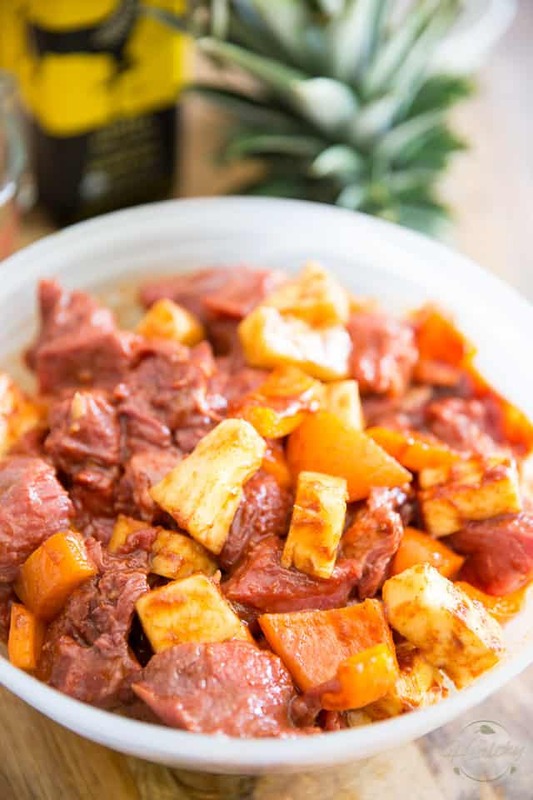 Granted, the beef, pineapple and bell peppers need to marinate for a while, but you can very well do that on the previous night, put everything in the fridge and just forget about it until the next day. Then, when you’re ready to eat, simply throw everything on a baking sheet and in just about 15 minutes, during which you will have close to nothing to do, dinner will be served. I don’t think it gets much easier than this, honestly! I’m definitely a fan! 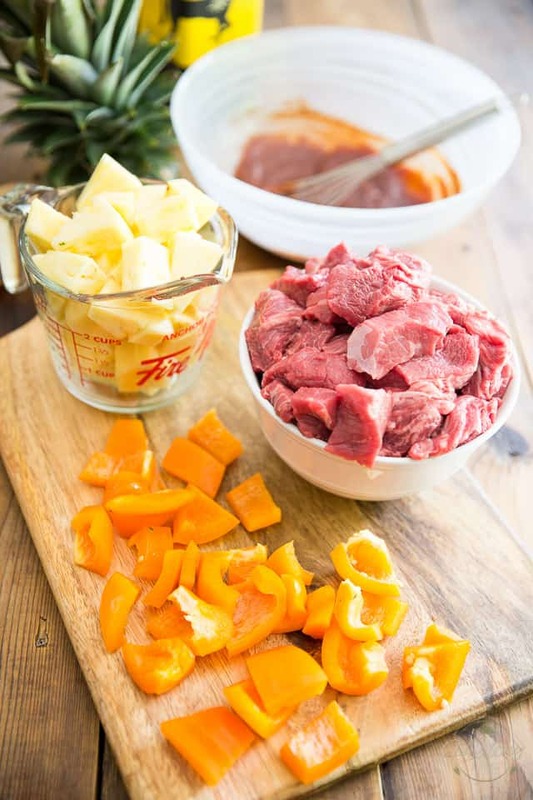 The first thing you’ll want to do is chop your pineapple and bell peppers and cut your beef into manageable bite-sized chunks. If you choose to cut your own meat, that is. If you’re not that comfortable with handling raw meat, you could ask your butcher to take care of that for you or grab pre-cut cubes of beef directly off the counter. Just be sure to choose grilling cubes, not the stewing variety. I used top sirloin here, but any grilling beef variety will work fine. 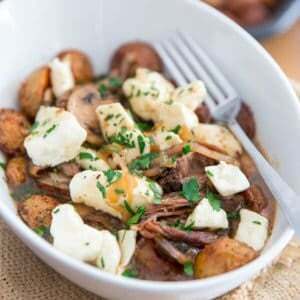 Since the meat will only be cooking for a very short amount of time, you want to avoid braising/stewing cuts at all costs, as these require a really long cooking time. 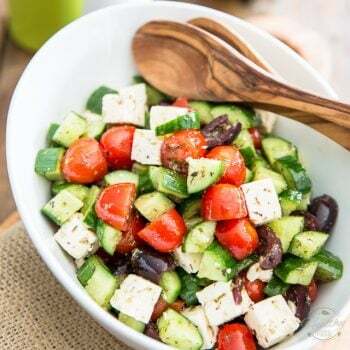 Once your meat and veggies have been prepped, combine all the ingredients for the marinade in a small bowl and mix together with a whisk until well combined. Yes, I realize that the list is fairly long, but most are fairly common ingredients that you probably have in the fridge/pantry. Save maybe for the coconut aminos? If you’re not paleo and don’t have any of that on hand, don’t fret. You can simply sub tamari or soy sauce for it. Now add the meat, pineapple and bell peppers to the marinade; toss well, until all the pieces are well coated, cover and refrigerate for at least 4 hours, or up to the next day. 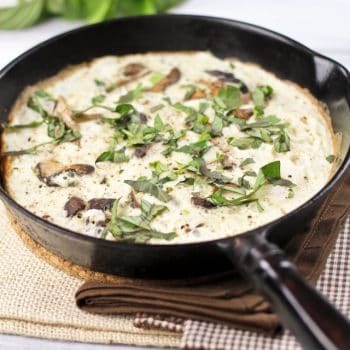 When ready to eat, preheat your oven to 450°F and line a 18″ x 26″ baking sheet with parchment paper. 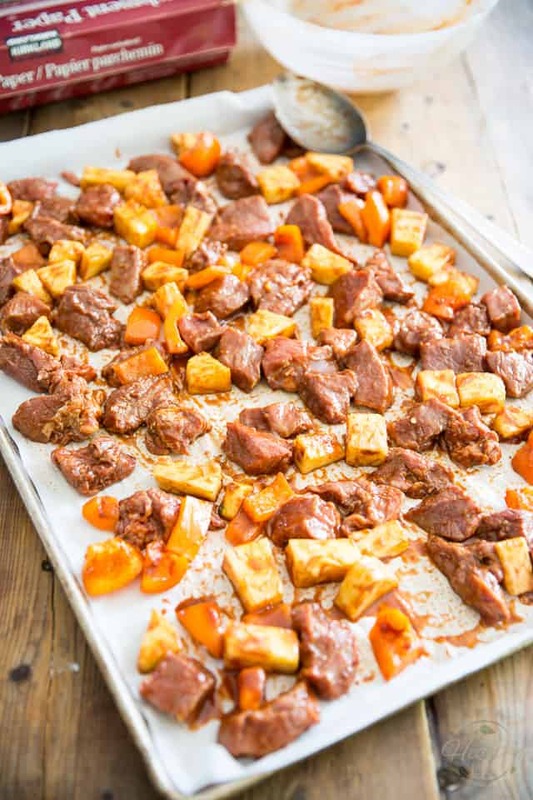 Spread the marinated meat, pineapple and bell peppers in an even layer onto the prepared baking sheet. Bake in the preheated oven until the veggies are tender and the beef is cooked all the way through, which will take about 12 to 15 minutes. You will have to drain the excess liquid from the pan once or twice during baking, as the pineapple will be releasing a lot of juice as it cooks. Take the opportunity to give everything a good toss, why don’t you? 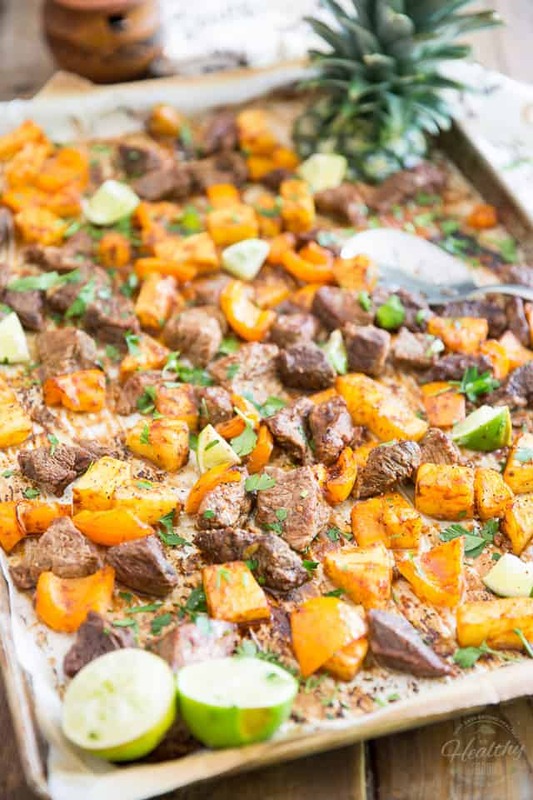 Once fully cooked, remove the pan from the oven and garnish your dish with fresh chopped cilantro and lime wedges. Transfer to a pretty serving plate and, if you want to get fancy about it, decorate your plate with the pineapple top! Easy, elegant, efficient. Again, I’m a fan! 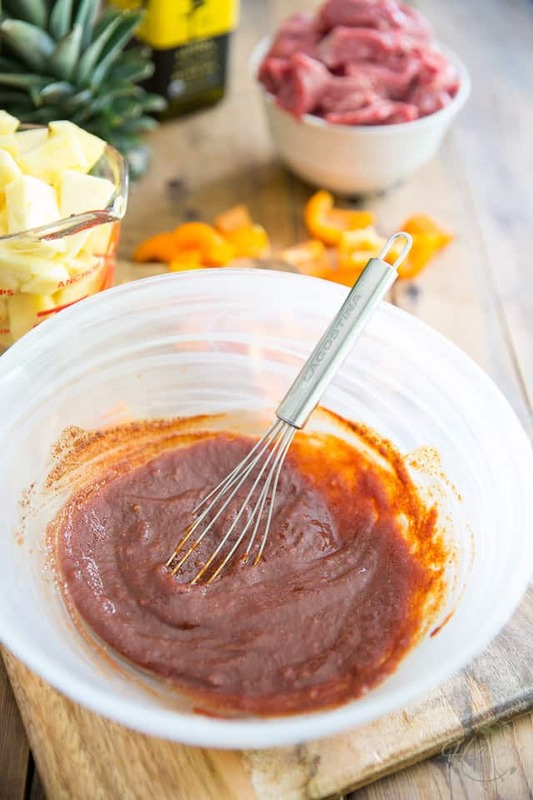 Combine all the ingredients for the marinade in a small bowl, mix together with a whisk and add the meat, pineapple and bell peppers; toss well, until all the pieces are well coated in the marinade. 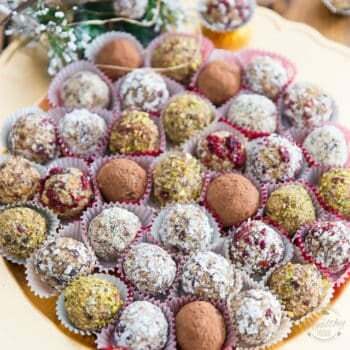 Cover and refrigerate for at least 4 hours, or up to the next day. When ready to eat, preheat your oven to 450°F and line a 18" x 26" baking sheet with parchment paper. 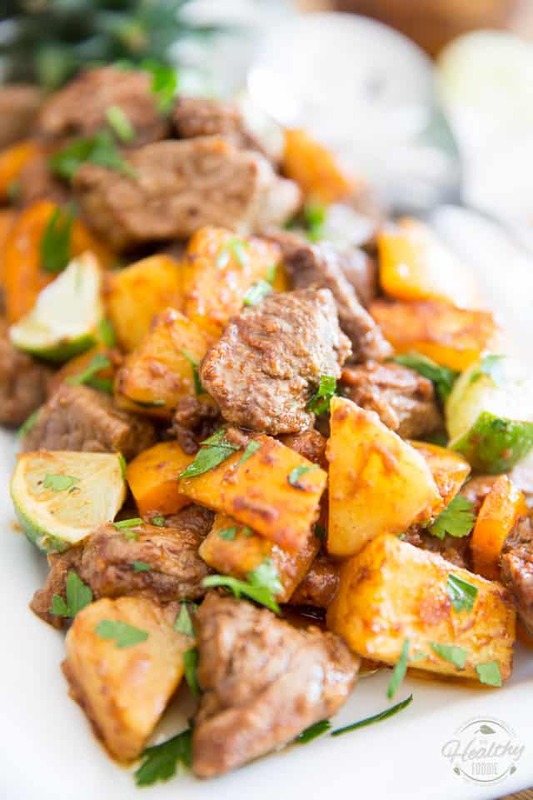 Spread the marinated meat, pineapple and bell peppers in an even layer onto the prepared baking sheet and bake in the preheated oven, tossing and draining excess liquid once or twice, until the veggies are tender and the beef is cooked all the way through, about 12 to 15 minutes. 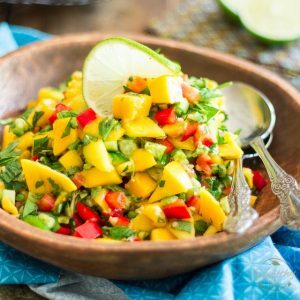 Once cooked, remove from the oven and garnish with fresh chopped cilantro and lime wedges. Thank you for the recipe, great idea! I am sure my family will love it. I must say, this tastes good. 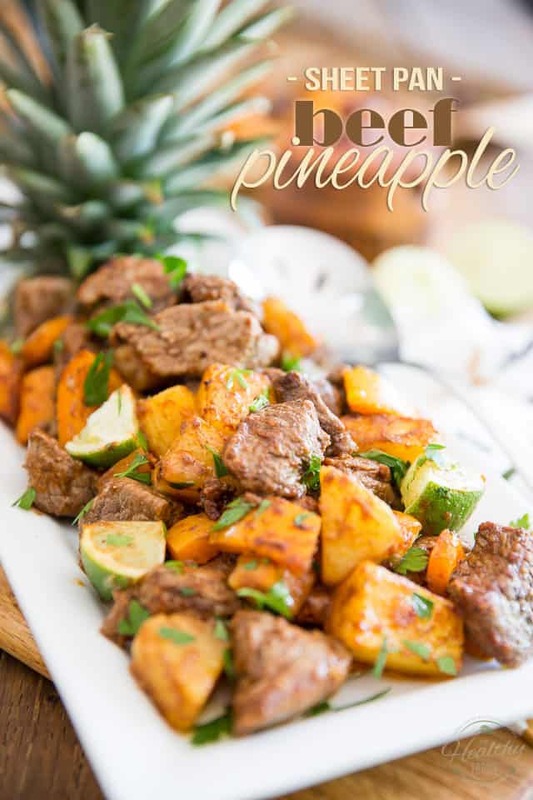 Pineapple + beef is highly pleasant to the taste.